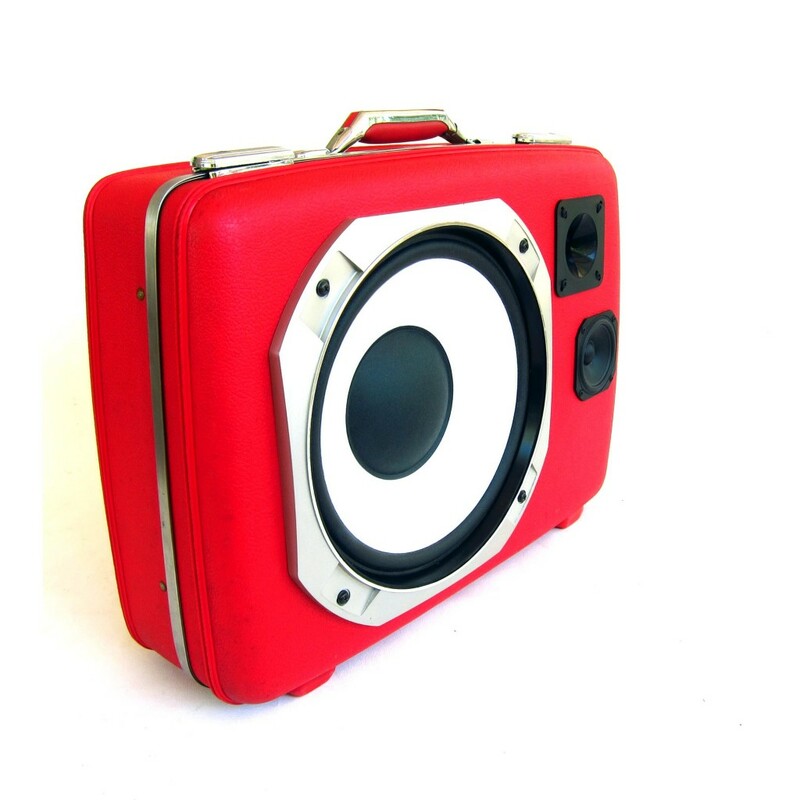 This model is imaginatively dubbed “BigRed” and it’s based on an American Tourister case, it has a 12″ white and silver subwoofer, a 4″ mid range and a 4″ horn tweeter. You can upgrade your BoomCase with Bluetooth, a solar panel charger and a shoulder strap should you so desire although I kind of like the base model and its simplicity. The sound quality won’t be Carnegie Hall quality but for a beach party I can’t imagine anything better, all you’d need is an iPhone and an Esky. And some bikini clad girls of course.